Warehouse Carousels in Utah - Ask us to show you one. Your time well spent! Our corporate offices are in beautiful Salt Lake City Utah. We provide Warehouse Carousels sales and service Nation Wide as well worldwide! 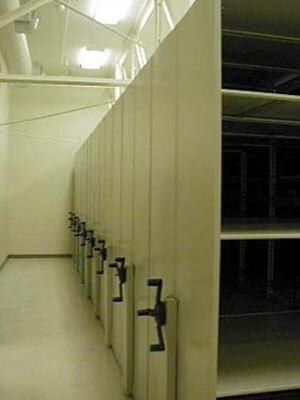 Warehouse Carousels have been a great solution for almost any kind of storage you can think of. The bottom line is it saves you floor space and makes you more productive. Since it allows such great storage in such a small footprint it allows architects and designers to build a smaller building. In fact a Vertical Carousel can be used to promote"green building". 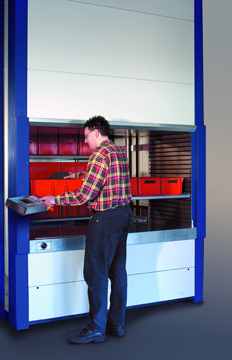 Vertical Carousel gives a reduced footprint advantage for storage of all types. Phone Us At 801-328-8788 to learn more.